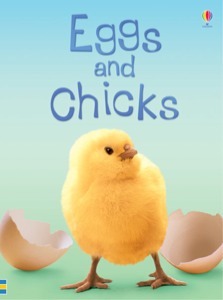 Join children visiting a farm and see a baby chick hatch. Find out about baby Emperor penguins from egg to chick, and how they survive the cold. See flamingos with their chicks in a zoo. Watch a video clip about eggs of birds and other animals. Why eggs are shaped like eggs and other facts about eggs. Print out and colour a picture of a mother duck and her ducklings.